Instant Glass are experts at fitting Shower Screens. All our Glaziers are very experienced and will provide you with the excellent service you are looking for. Free no obligation survey available today. Are you looking for a beautiful new Shower Screen? Instant Glass have been supplying and fitting custom Shower Screens for many years now. All our staff are fully qualified and the Shower screens we supply, and fit are of the highest quality and standard. If you are not sure of what you are looking for or need advice on choosing the right product, then our experienced team are here to help. We also offer all our customers a free, no obligation site visit so that they can be 100% sure they are ordering the right product. We cover all areas which includes Morden, Croydon, Sutton, Wimbledon, and all of Greater London & Surrey. If you need help and advice today, please call us on 020 3890 4116 or alternatively, please request a free estimate or visit via the website. Need a quote on a new Shower Screen Today? Let Instant Glass be your first choice for Shower Screens. All our new customers receive a 10% on Shower Screens. We would be happy to provide you with a No Obligation Free Quote. The Shower Screens that Instant Glass produce come in 1000’s of different colours to fully match your requirements. We take safety very seriously, so the glass we supply to all our customers is top quality Toughened Glass that will stand the test of time. With our expert knowledge of supplying and fitting Shower Screens, we will help you choose the right customised product for your home. No job is too big or too small. Top quality custom made Shower Screens supplied and fitted. Instant Glass are always looking to improve the quality of service we offer. Because of how satisfied our customers are, on Checkatrade, our clients have given us a rating of 9.8 out of 10. 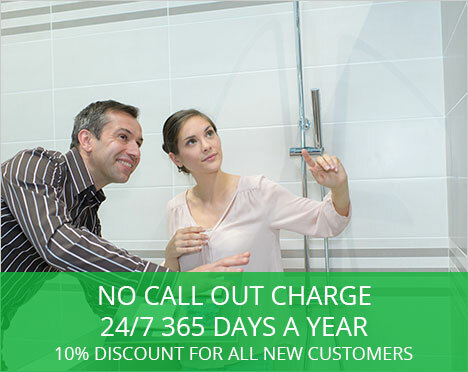 If you want a reliable glazing company to supply and fit your Shower Screen, then get in contact with us today. The areas we cover include; Morden, Sutton, Croydon, Wimbledon, Mitcham, Tooting, Clapham, Wandsworth, Kingston, Richmond, Epsom, Dorking, Guildford, Woking and the Whole of Greater London & Surrey. For more information about Shower Screens please call us on 020 3890 4116 or Alternatively, please send a message via the website. We are waiting for your call.